For high value crops like almonds and peanuts, there are not only concerted efforts to prevent this sort of contamination, there are also mechanisms to literally check each individual nut for the presence of the fungus and reject those that are suspect. That kind of detailed scrutiny has never been feasible for a lower value crop like corn (or Maize). 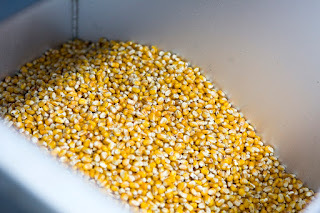 But recently, a Swiss, family-owned grain handling equipment company called Bühler has cooperated with Microsoft to develop a system which can process corn at a rate of 15 metric tons per hour and reject any of the kernels that are contaminated with the nasty chemical aflatoxin. That is both amazing and very cool. This remarkable system relies on very high speed imaging technology using LED lights to look for the florescence that suggests the presence of the fungus. 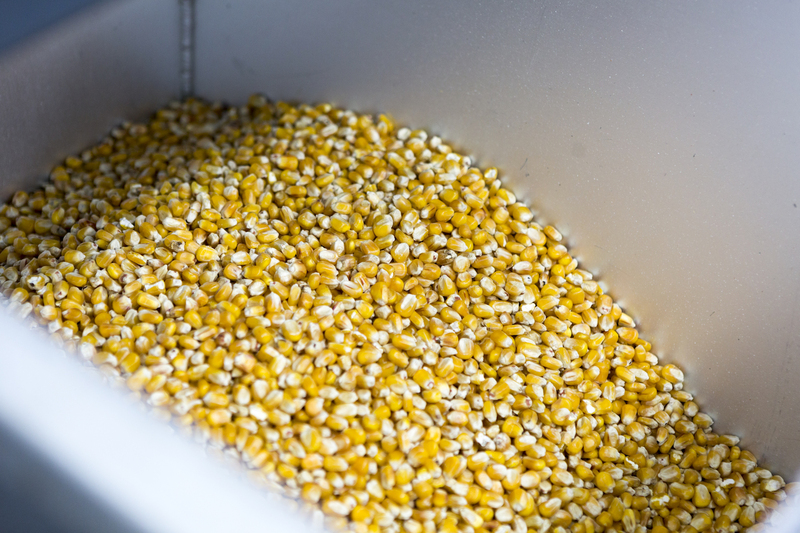 It is applied to every single corn kernel even at that high rate of grain flow. The system uses Microsoft technology to pass all relevant data to the Azure cloud, where visualization of the data, tracking, and reporting are possible in real time. Bühler can also tap into Azure’s massive cloud infrastructure, available in 140 countries, to scale the solution globally. A puff of air is used to knock the suspect grain out of the main flow and can achieve a 90% or better degree of contamination reduction with something like a 5% level of grain rejection. 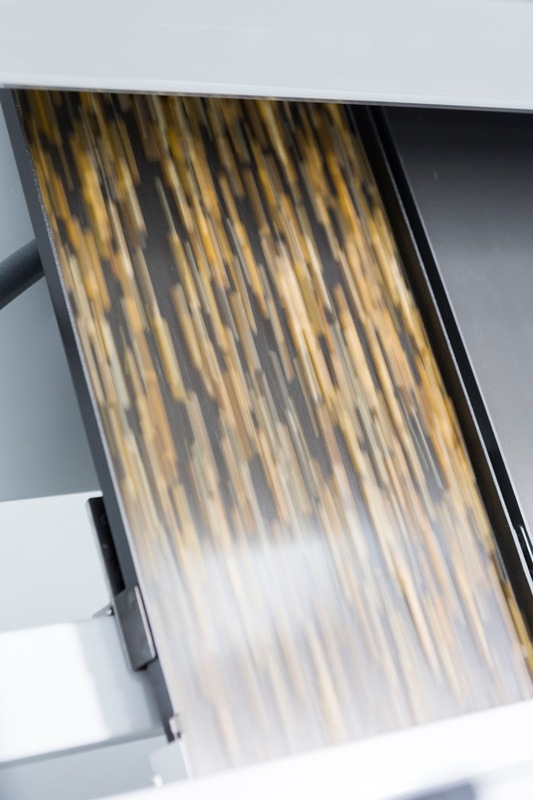 This technology will have immediate applications in the feed grain industry in the developed world because instead of rejecting entire loads that have some contaminated grain, it will be possible to protect the animals that eat the grain while still using as much of the yield as possible – a food waste reduction success. Also, since aflatoxin can come through to milk, dairy product consumers will also get an even higher level of protection. Moving this sort of technology into key areas like Africa will require some creative public/private partnership approaches particularly in areas where there are not really any sort of commercial grain handling systems at, say, a village level. 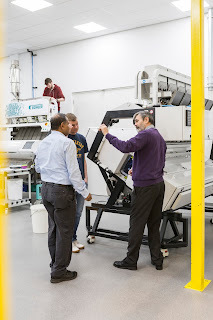 The grain equipment company behind this, Bühler has been doing business in Africa for 100 years and runs a milling school in Nairobi, so they are positioned to find creative solutions to the implementation of this advance. As revolutionary as this technology promises to be, it is a good thing that it isn’t the sole solution. One way to reduce the infection/contamination issue is to intentionally spread a strain of the culprit fungus that does not happen to make aflatoxin. 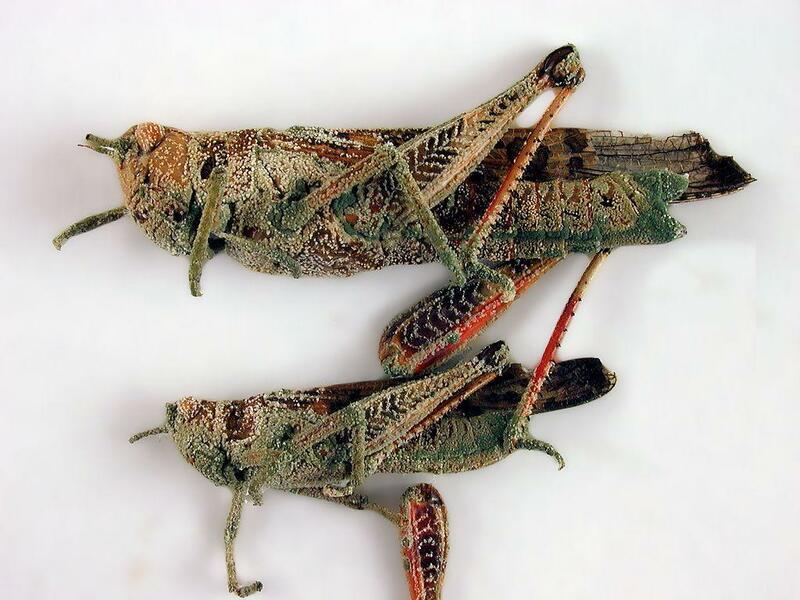 It’s a biological control strategy that was first developed by USDA researchers and commercialized in the U.S., but which has since been re-developed in Africa. Insect resistant, “GMO” maize also significantly reduces the incidence of the problematic infections. There is also a “gene silencing” strategy proven by an Arizona State researchers that would prevent the fungus from making its toxin even if it was able to infect the plant. There has also been a very creative, to design an enzyme that breaks down aflatoxin into harmless bits that was actually facilitated by an on-line, crowdsourced game effort led by a researcher at UC Davis with support from Mars, Inc. Such an enzyme might be able to turn the rejected, contaminated grain from this new sorting mechanism into more food/feed or feedstock for bio-based materials. The most robust and resilient anti-cancer strategy would be to combine all of these methods and finish off with the high speed sorting technology. So there is new hope for the mental development status of African children and for a lower incidence of cancer there and elsewhere. I guess I just have to say that technology can achieve some really cool results and I hope that non-profits and governmental entities will join Bühler in extending this to the poorest and most vulnerable populations. 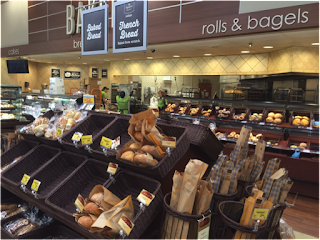 Do you buy bagged bread in the grocery store? There are usually several options including bread made with whole grains or containing several different kinds of grain. You have probably noticed that such breads stay nice and soft for quite a while. 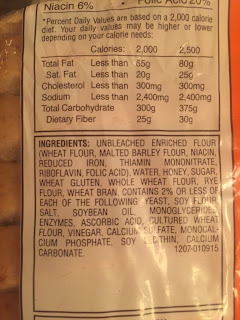 Some people are even suspicious about that imagining that the bread might be “loaded with preservatives.” They are not. If you buy the freshly “baked in the store” options like baguettes, or get those at a bakery, they are really tasty, but they rather quickly become stale. They become candidates for making French Toast or maybe croutons. That kind of short-lived bread is amajor source of food waste and some have even found creative ways to collect stale bread from bakeries and turn it into beer. The bagged bread on the other hand can remain good and usable for a week or more. If you don’t get through using the loaf for a long time it might get moldy, but in general each loaf can keep a family fed with morning toast or lunch sandwiches for quite a while. That didn’t used to be the case. Back in the 1960s the bread aisle was restocked almost every day and you could buy “Day Old Bread” at a discount - but it wasn’t very good. So what changed? It’s an interesting story that involves crystals and enzymes. 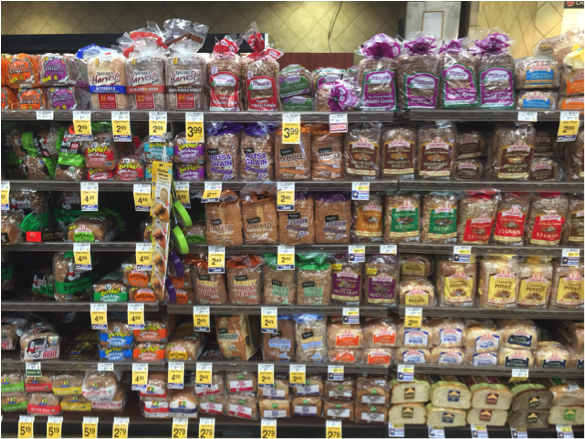 We think of stale bread as being “dried out,” but that isn’t the real issue. Staling occurs when the starch changes to a crystalline form in the finished bread. The solution to the food waste problem of stale bread is a type of enzyme called “amylase” that can modify the bread’s starches during baking and keep that crystalline structure from forming after the bread is baked. To unpack that, I’ll go into some background on enzymes and on starch. 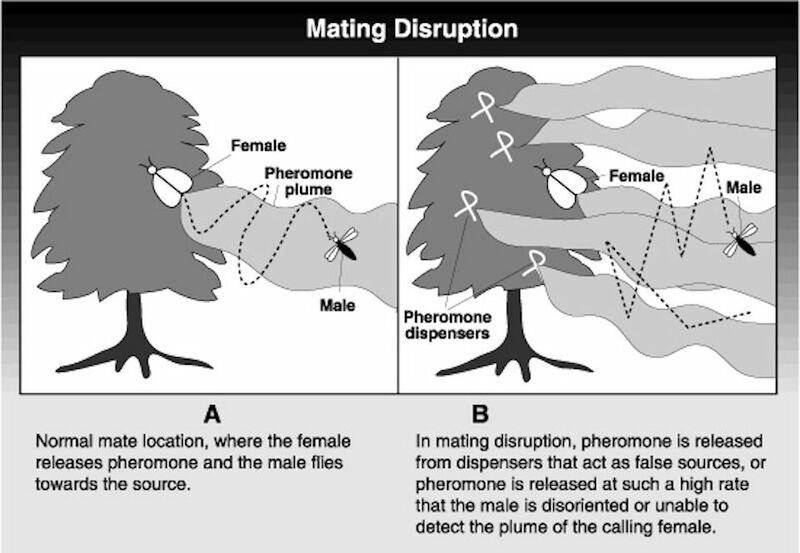 OK, flash back to high school biology class. Do you remember learning about enzymes? Those are proteins and if you do the 23andme analysis of your DNA, a good deal of it codes for the enzymes that make your body function. These very cool proteins “catalyze” chemical reactions, serving functions like digesting our food, or turning it into the energy that keeps us going. There are also enzymes in our liver that protect of from certain toxins. 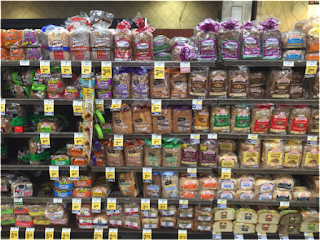 Bread is made from mostly wheat grains that contain starch. Starch is a really big molecule that is a long and branched chain built from many units of the simple sugar glucose linked together. The reason that a wheat plant makes starch is so the germinating seed can use it as a source of energy to start growing a new wheat plant. About 10,000 years ago, we humans started growing wheat as a crop and it has been a major source of our food since then. We get both energy and protein from eating wheat. When we eat bread, there is an enzyme in our saliva called amylase that starts breaking the starch into simple sugars and the process continues in our digestive system. There is a similar enzyme in the wheat itself because that seed needs to be able to tap into the energy stored in the kernel when it starts to grow. The yeast we add to make bread also has various enzymes including amylase and there are even more enzymes from various organisms in something like sourdough bread. Bread “rises” because the wheat and yeast amylase enzymes make some of the starch into simple sugars that the yeast then ferments to grow. In the process the yeast makes carbon dioxide gas that makes bubbles in the dough that make the bread rise. So in the enjoyment of bread there are already three different kinds of amylase enzymes involved- from the wheat, from the yeast and later from ourselves. But after the bread is baked, the starch that is still mostly undigested can “re-crystalize” into forms that make the bread taste “stale” to us. We think of it as “dry” but that isn’t really the issue. It’s a texture thing based on those starch crystals. 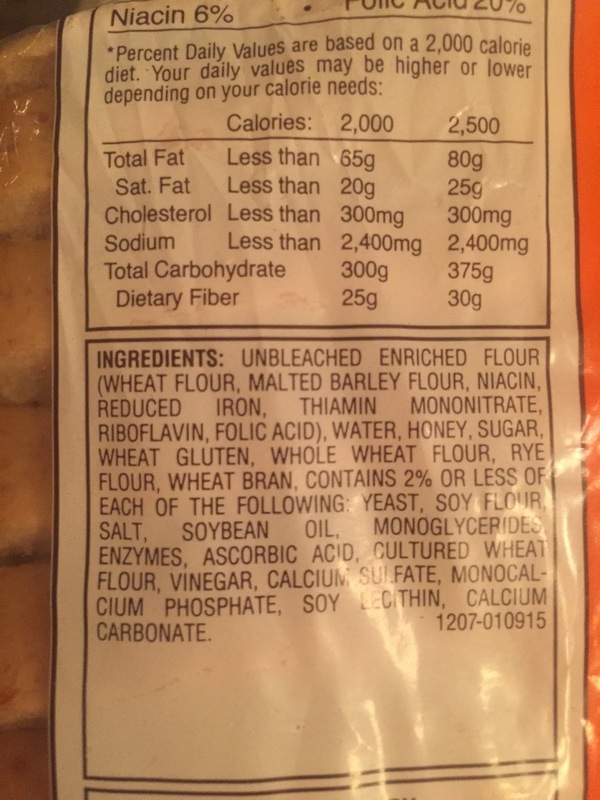 What the baking industry discovered in 1990 is that they could add a different kind of amylase enzyme to the dough that would control the starch in baked bread and slow down the formation of the crystalline structure that makes the bread taste/feel stale. When we eat the bread, that tiny amount of enzyme is just a protein that our own digestive enzymes easily break down into the amino acids that we need as a part of our diet. So the next time that you pull a loaf of supermarket bread out of your breadbox and find it still soft and tasty, you can appreciate this robust, enzyme solution to the food waste issue of stale bread! 3) that the lack of international harmonization of regulations is problematic for even these "soft" products. The meetings were the Biological Products Industry Association Spring Meeting and the International Symposium and the Biocontrols USA West Conference. Biologicals are crop products based on naturally occurring chemicals and/or live organisms, and thus they tend to get a positive reception from most who hear about them. They tend to be low in toxicity and generally “soft” when it comes to environmental impact. They have been a rapidly growing segment of the crop protection market for some time, expanding their sales at a compound annual growth rate of around 17%, but biologicals still represent only around 5% of the global market for products used in the growing of crops. This kind of product is attractive in the sense that development timelines tend to be shorter than for synthetic chemicals and the development costs are much lower. These lower barriers to entry have encouraged nearly 500 companies to participate in that 5% of the market. The biocontrol sector is an extremely diverse collection of technologies. There are natural chemicals that are extracted from plants or produced by microbes grown in fermentation tanks. There are bacteria and fungi that compete with pathogenic fungi and/or produce compounds that inhibit their attack of plants. There are live fungi and nematodes that can infect or attack insect pests and kill them. There are things like predatory mites or parasitic wasps that can be enlisted to help keep insect pest populations in check. There are viruses that infect very specific insect pests, and there are bacteriophages, which are viruses that can be used to control bacterial diseases of plants. 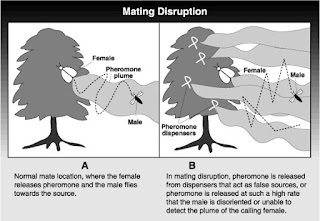 There are “semiochemicals,” which might repel insects or attract them to a trap or be used to make it impossible for a male insect to find the pheromone trail to a suitable female for mating. While most of these products are used in agriculture, some of them play an important role in vector control to combat the increasing threat that society faces from insect-borne diseases. There is a large subset of biologicals called “bio-stimulants.” Some are based on seaweed extracts, some on yeasts, some on single-cell algae, and many that are mixed “consortia” of fungal and bacterial strains. (There are 235 examples of microbial biostimulants in the market, making it challenging for growers to even know what to try.) These agents can induce plants to activate their own defenses and stress-tolerance strategies. This part of the industry was described as the “Wild West” of ag products. Its players are working actively to overcome some past tendencies toward the marketing of “snake oils” and to institute more rigor on quality control and the generation of independent data to back up claims. At this meeting, there was clear evidence presented that many biostimulants made a big difference in crop yield – particularly under stress conditions (e.g. heat, drought, cold). At this meeting, I heard confirmation of a general observation I have made about biocontrols over the decades: They actually make the most sense as part of an integrated program that also involves things like crop genetic resistance and the use of synthetic pest control products. The biologicals can often reduce the need for other chemical agents, and they can also reduce the risk of selecting for pest resistance, which would jeopardize the utility of those expensive-to-develop tools. As popular as the biologicals approach has been, there are some challenges that were articulated by several of the presenters at this meeting. One issue is that although the food system as a whole is becoming increasingly globalized, the oversight systems under which these products are regulated are highly parochial, with no significant degree of international harmonization. This can undermine the very features of reasonable costs and at least somewhat predictable timelines for regulatory approvals. As one would expect, the European regulatory system tends to be excessively precautionary and unpredictable. Europeans want their farmers to use more biological controls, but are not making that easy. In the U.S., regulatory timelines are becoming less predictable because a system called PRIA is uncharacteristically caught up in a political strugglebetween the Trump administration EPA and certain key Democratic legislators. One of the hallmarks of U.S. regulation, relative to that in the EU, was that it tended to be relatively free of political influence. That status was eroded somewhat in the Obama era, and that change certainly continues today. The EPA is chronically understaffed, so in 2003 a system was set up to collect fees from the companies seeking registrations in order to augment the EPA’s budgets so that they could meet timeline goals. Unfortunately, Congress has not been appropriating its full share, and the FTEs at the EPA have been declining. Now the reauthorization of the PRIA fee system is being held up by politics and may expire on March 23. 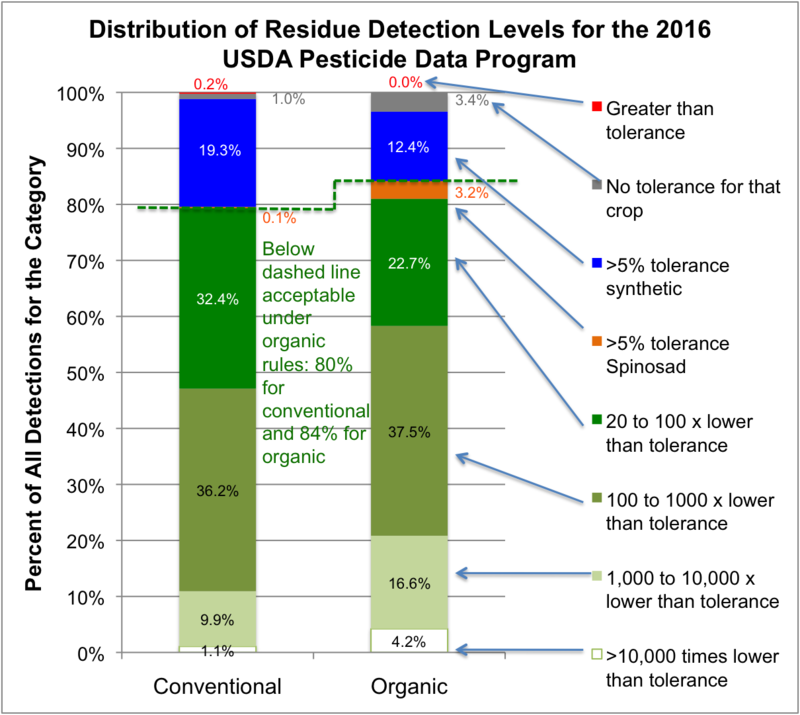 It is not just the approval of popular technologies like biocontrol that are being disrupted in this spat. Training programs that are valued by farm worker advocates are also being affected. The industries that develop both biological and chemical control methods for agriculture are perfectly willing to work with a regulatory framework that is based on sound science and overseen by an adequately resourced EPA. Another concerning issue discussed is that players like global food retailers are sometimes imposing their own rules on their suppliers in ways that go beyond the already-comprehensive regulatory systems. They argue that this is driven by what consumers want in terms of transparency and the absence of chemical residues. Serving customers is a positive goal, but it can be problematic when consumers have misperceptions that have been intentionally cultivated by certain for-profit organic companies. Overall, I was still encouraged by the progress that is being made in this broad category of crop protection and stimulation. There were several “old timers” like myself involved, but also a gender- and nationality-diverse set of younger participants. This is an important set of tools in the broader toolbox that farmers need in order to meet global food demand in a sustainable fashion. The industry at that time was almost entirely based on a single banana cultivar called “Gros Michel” (meaning “Big Mike”), and it was susceptible to infection by a strain of fungus called Fusarium. Once the soil of a given plantation was contaminated with that strain, any Gros Michel tree grown there would soon die. Unfortunately, it's about time for some band to cover “Yes, We Have No Bananas” because, evolution being what it is, a new strain of Fusarium — Tropical Race 4 — has arisen and it is lethal to the Cavendish. The disease is slowly making its way around the world, and since it can be spread in a particle of dirt on something like a boot, it will almost inevitably make it to the Central and South American growing regions that supply both North America and Europe with their bananas. While I understand why observers might be shocked that a nearly $12 billion industry depends almost exclusively on the Cavendish banana, I do want to push back on the implied conclusion that this represents some sort of irrational or irresponsible expression of “big ag” or whatever other demons are imagined by the Food Movement. I’m not a banana expert, but in the mid-1990s, two of my first jobs as an independent consultant had to do with the banana industry. It was during the exciting early years of commercial plant biotechnology, and many industries were asking, “What might this new technology do for our business?” Both of my projects involved early-stage discussions between a major banana company and a plant biotech company — four different entities in all. These were “drawing board stage” projects, with the goal of figuring out if certain ideas could ever make economic sense: Would they be something worth years of effort and millions of dollars for research? Still, overall, biotechnology looked like a way for this industry to tap into genetic diversity. The fun part for me was getting to do a deep dive into the details of how bananas are grown, handled, shipped and marketed. I got to travel to Honduras, Costa Rica and Ecuador to tour banana plantations and interact with experts at the major banana export companies. As I said, I’m not an industry insider, but I think I can shed some light on why there are not more kinds of bananas grown for export. As modern consumers, we are offered an amazingly diverse selection of fresh fruits and vegetables year-round, so it is important to think back to the early days of this offer of plenty. Having grown up in Denver in the 1960s, I can recall that, except for a few summer months, almost the only fresh fruit options at the grocery store were bananas, apples and oranges. I have a podcast about why apples were ever on that list. But if you think about it, the very fact that we can so easily enjoy fresh bananas in temperate regions is a bit remarkable. Bananas can grow only in regions where there is never frost, and they do best in truly tropical climates. How did a tropical fruit become a mainstream, reasonably priced, healthful, kid-popular fruit for people who experience winter? In tropical regions, there is a great deal of genetic diversity among wild bananas and considerable diversity among the banana or plantain types that humans cultivate. However, very few of these bananas could ever meet the criteria needed to be a viable export crop. First of all, a banana for export has to be seedless. 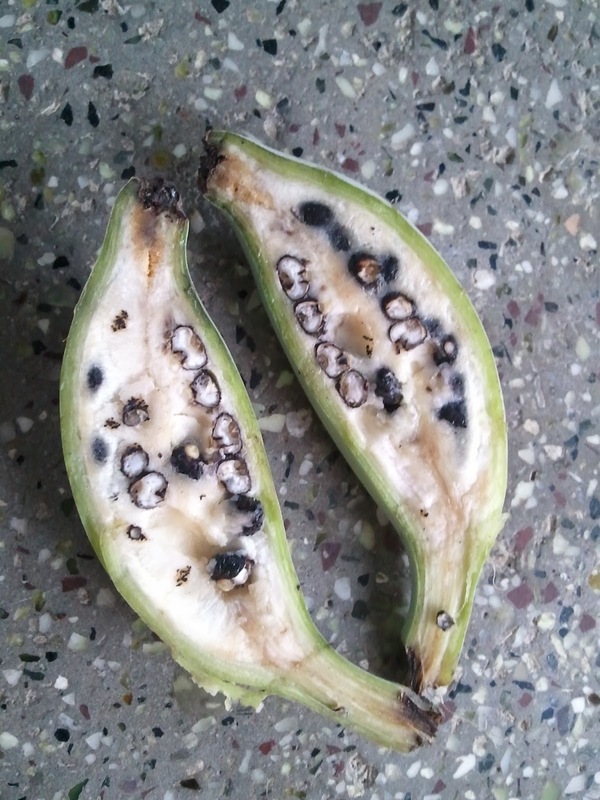 Many wild bananas have large, very hard black seeds – not something that has much consumer appeal. The bananas that people like are seedless because they have triploid genetics – three of each chromosome vs. the two that we have. That is the same way we get seedless watermelons, grapes, etc. It's not some “GMO” thing; it happens at times in the plant kingdom, and we humans like it! Still, improving or changing the cultivar through “conventional breeding” isn’t an option if it makes no seeds. 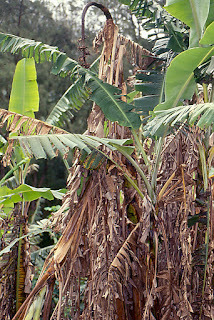 Next, the banana needs to be productive in terms of overall yield per tree or acre. I’m sure no one in the 1920s was calculating it, but in modern “sustainability” thinking, the “land-use efficiency” of a crop is an important criterion. That, along with “water-use efficiency,” small “carbon footprint” and “energy footprint,” is all very much tied to good yield. The usable per-hectare yields of the Cavendish variety are quite high, and that is why it has been a both economically viable and environmentally sustainable choice for a long time. But probably the most limiting requirement for a banana variety to be commercially acceptable is that it has to be shippable. In the modern era, we have lots of transport options for food products, but during the era when the banana was becoming an item of international trade, the only viable option was ocean shipping. A product being moved from the tropics to North America or Europe needed a very-low-cost transport option if it was ever going to be a mainstream consumer product. Most fresh produce products loaded onto a ship for a two-plus-week trip to a northern port would be a soup of decay by the time they arrived. What made the Gros Michel and its successor, the Cavendish, remarkable was that they could make that trip at a temperature range of 55-58 degrees Fahrenheit, and so not even require lots of energy for refrigeration. Very few of the wonderful range of cultivated or wild banana types could ever do that, but because the Cavendish can be shipped this way, the energy and carbon footprint of its shipment is small. This crop has a very attractive "food-miles" profile. In addition, it turns out that the conditions under which bananas grow can affect their shipping potential. 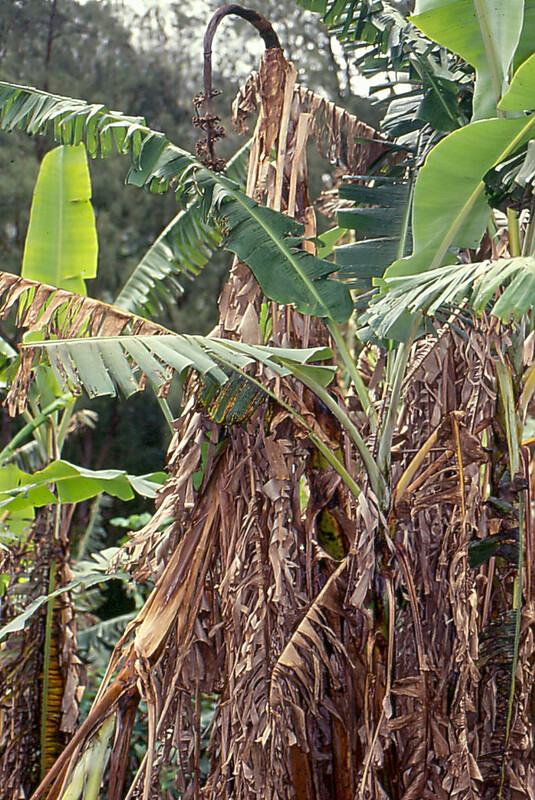 There is a disease that infects only the leaves of banana plants called “Black Sigatoka.” If a banana tree has suffered too much of that infection, even the robust Cavendish variety won’t be able to make the trip by sea. One thing I learned on my tour was that plantations have employees whose whole job is to survey the plantation on a tree-by-tree basis in order to qualify the fruit for shipment based on how well that disease has been managed. But it gets even more complicated than that (here's a good video summary of the process). Bananas are picked in Central and South America at a “green” stage — imagine a fruit more completely green than the greenest one you've ever seen in the clusters in your store. When they get to their destination, they are put into “ripening rooms,” where they are exposed to ethylene gas to start them on the way to the ripe yellow fruit you know. Before you freak out, know that ethylene is the fully natural plant hormone that induces ripening in most fruits and vegetables. 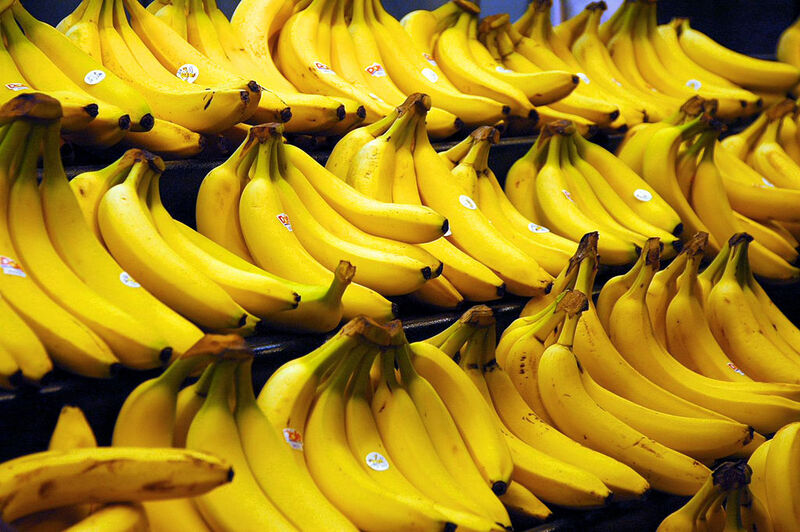 There is a definite art to this ripening process, and highly valued experts who can assess each shipment of bananas know just how to handle them in the “ripening rooms” to achieve the goal of delivering “just right” bananas at retail. This process has to factor in issues like ups and downs in demand and turnover rates at key retail customer outlets, in addition to the condition of the incoming fruit. I know that at the stores where I shop, I can consistently buy bananas that are close to ripe but not fully, such that I can hope to consume them all before they turn black. We consumers might think we have a balancing act to do when it comes to timing ripening and consumption of the bananas from our counters, but imagine that on a huge scale for the banana distribution chain. There is one more critical element of the business model: Those ships that come to our ports loaded with bananas certainly can’t go back empty. The banana shipping companies are also seriously involved in their “back-haul” business of bringing back products of interest in the source countries. Having a well-understood, predictable crop helps with running that business efficiently as well. So for the international banana business to work in a way that provides a relatively low-cost product acceptable to consumers, it needs to be able to function in a reliable and predictable fashion. Figuring out how to do this with a new banana variety would be a huge challenge. How do you grow it efficiently? Can the crop make the trip reliably? How can its ripeness be managed in order to meet both the distribution chain requirements and the needs of consumers for decent “counter life”? Will all of this work in a way that is compatible with a viable back-haul business? So while it is easy to think that the banana industry is crazy to depend on one cultivar, I submit to you that it is not without reason and it implies no irresponsibility. So does that just mean that we are inevitably going to live out the unintended prophecy of “yes, we have no bananas”? I think that depends on whether we continue to live in a world where anti-biotechnology groups are able to exercise the control that they currently have over our food system. Let me explain. Remember that my introduction to bananas was based on excitement about what biotechnology could do for the crop. One of the concepts was to develop bananas that were resistant to that leaf infection disease that can compromise shipability. Control of that disease requires something like 40 fungicide sprays a year, so as you can imagine, there would be a huge cost savings if the trees could be made resistant. The other concept on the table was modifying the banana so that it would stay in that nice yellow, but not yet black, stage longer on the consumer’s counter. I’ll never forget that in the first meeting about that idea, a participant who worked for a UK-based banana importer said in his very British accent: “Why would you want to do that? Don’t you know that the dustbin is a major consumer of bananers?” Obviously he wasn’t attuned to current sensitivity to the need for food waste reduction. I thought it was cool that a banana company was serious about an idea that might reduce food waste, with the hope that it would make consumers more comfortable about buying even more bananas. Well, these were just theoretical ideas at the time, and they didn’t go anywhere because it soon became evident that the anti-GMO forces were quite successful at putting brand-sensitive companies in an untenable spot if they were using “GMO crops” not just for generic ingredients but for brand-central crops. A dramatic example was how fast-food chains like McDonald's moved to avoid biotech potatoes for their signature fries. It quickly became clear to the banana companies that their brands and their retail store access could be compromised if they pursued “GMO” options. The irony here is that this would have been the most viable strategy with which to bring genetic diversity into the logical but extreme monoculture of bananas. So the irony is that if the “yes, we have no bananas” scenario becomes a reality, it will be because we as a global society didn’t use a safe, viable, scientifically sound strategy to rationally deal with the problem in the banana crop. 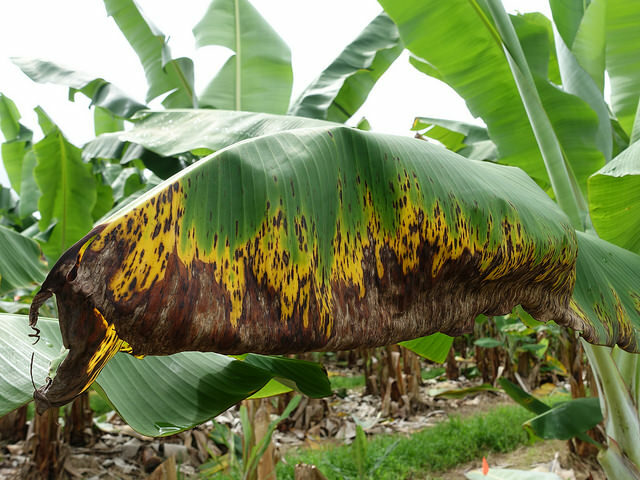 Public institution scientists in Australia and entrepreneurial scientists in the Latin America have come up with ways to modify commercially relevant bananas to resist the Fusarium disease. Ideally there would be the potential to use several approaches, either in the same banana or in different fields; that would avoid delay selection for resistance and avoid yet another dependency on a single line. 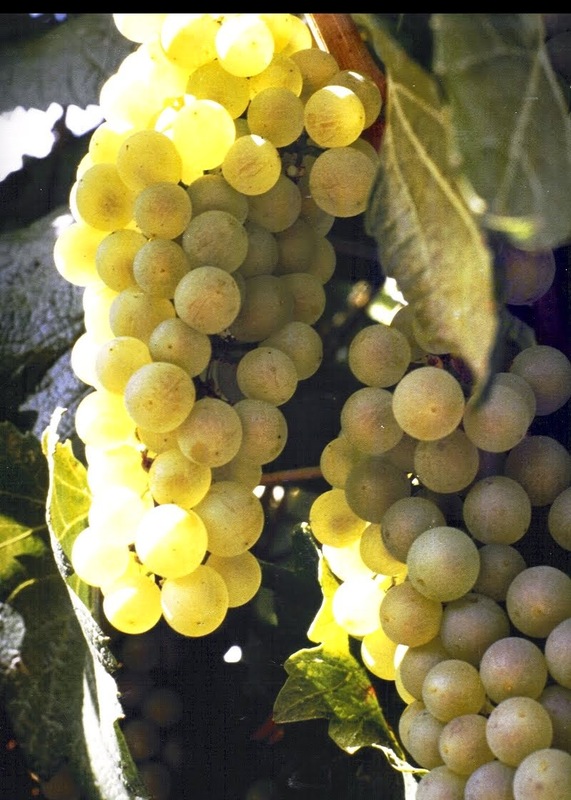 It is likely that the "heritage variety" Gros Michel could be made commercially viable once again! If the Fusarium-resistant biotech bananas were introduced, activists would almost certainly attack them as “GMO.” Would any of the big banana companies have the guts to move forward with the technology in spite of the inevitable brand attacks by NGOs? Would any big food retailers be willing to resist the inevitable pressures not to stock that fruit? That retail blockage strategy is being used today against other new biotech offerings such as non-browning apples and potatoes and fast-growing, terrestrially raised salmon. At one level, this is a question about what will be available for us as consumers. Will we continue to have this highly consumed, reasonably priced, child-friendly, healthy food option? Maybe not. But there is another big question. One thing I witnessed on those visits to the banana industry back in the '90s was that large communities in Central and South America flourish because of the jobs that this industry creates. We in the rich world will still have lots of other fruit choices if the stores have no bananas, but that flexibility isn’t there for the families that have been doing the work to provide us with this staple food option for so many decades. I would think that most activists are the kind of people who care about the availability of healthy, low-cost fruit options; I doubt that they would want to see the banana-producing communities impoverished. However, if the current paradigm of anti-GMO intimidation of fruit companies and retailers continues, that is where we are headed.